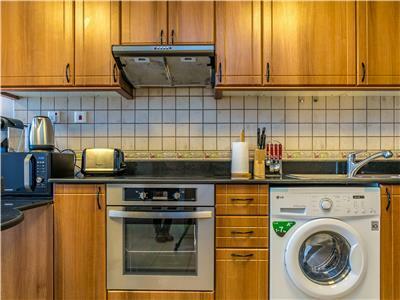 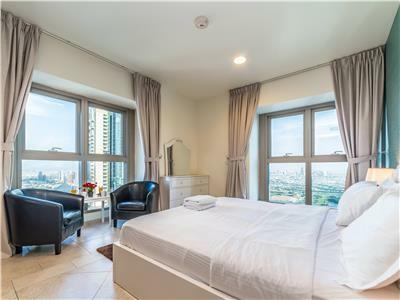 Beautiful layout 2 bedroom apartment on highest floor, in the world's tallest residential tower. 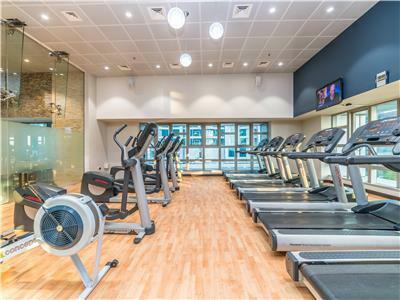 Guests will have access to a number of five star facilities including two swimming pools, a gym and a kids play area. 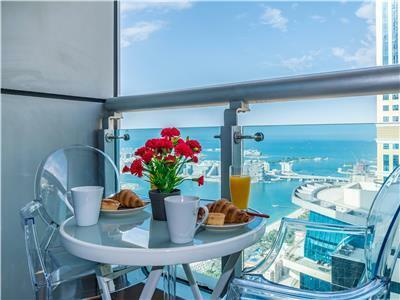 The apartment has a view of Atlantis and the Palm from the balcony as seen in the pictures. 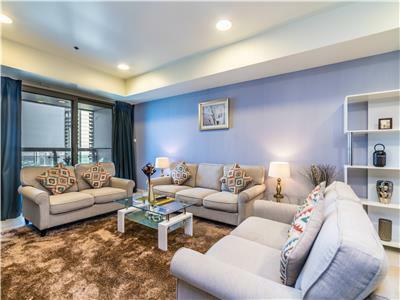 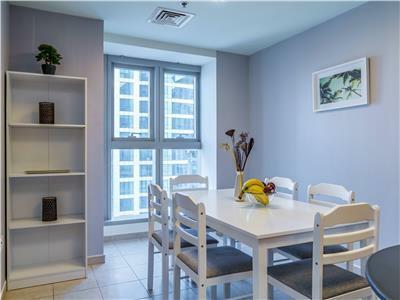 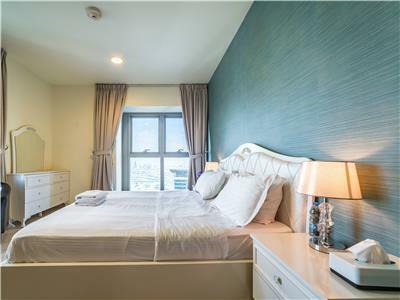 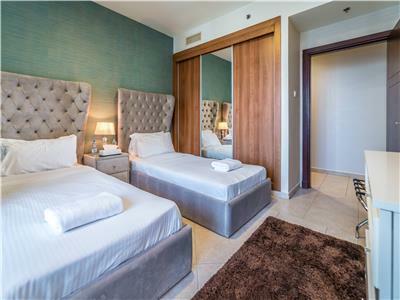 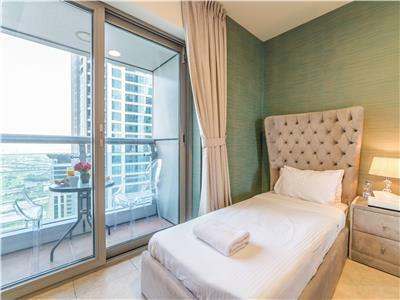 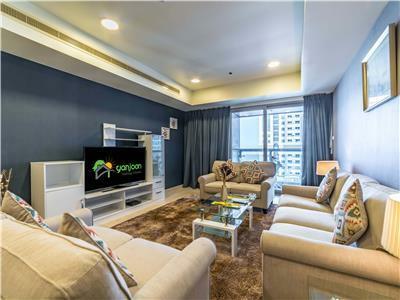 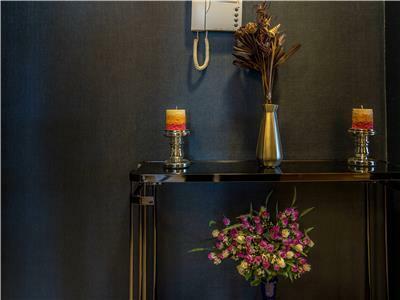 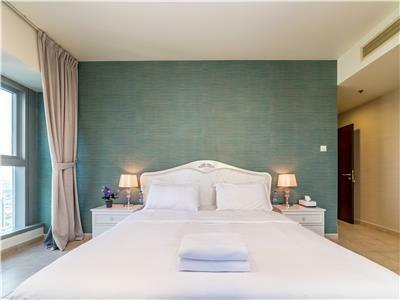 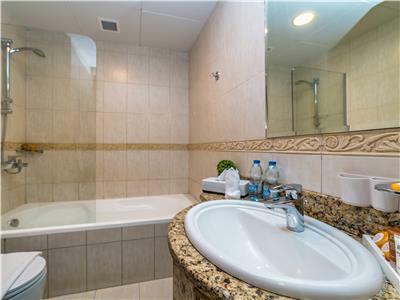 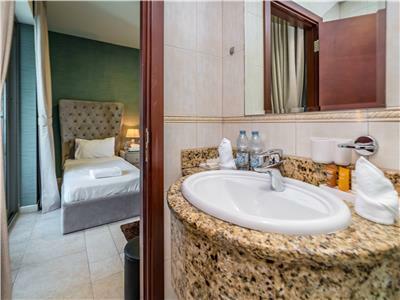 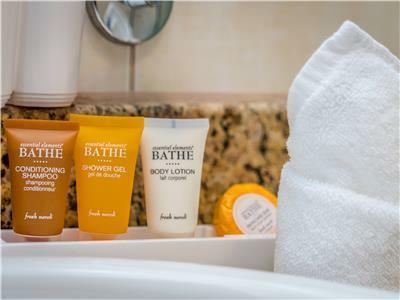 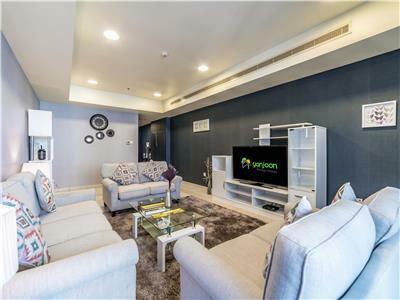 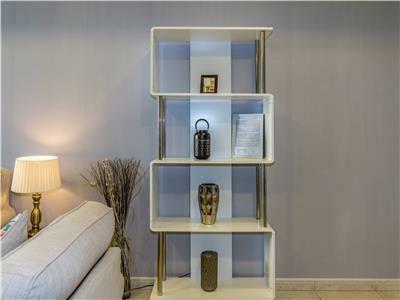 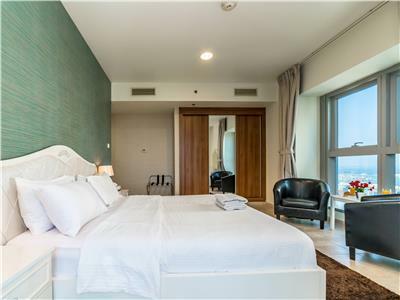 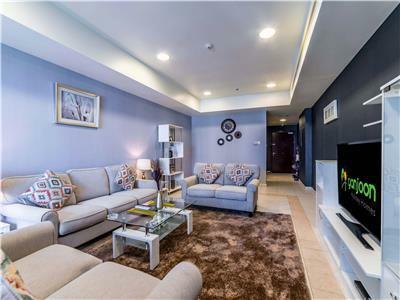 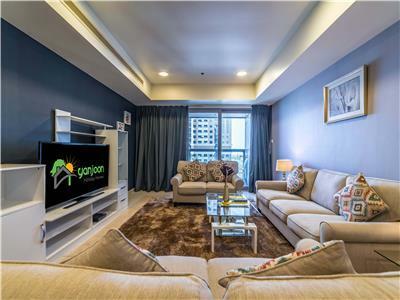 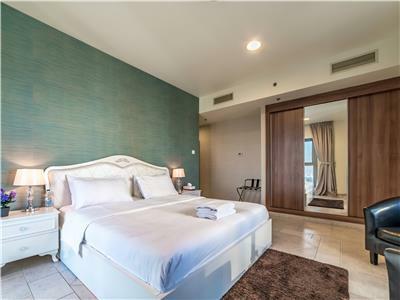 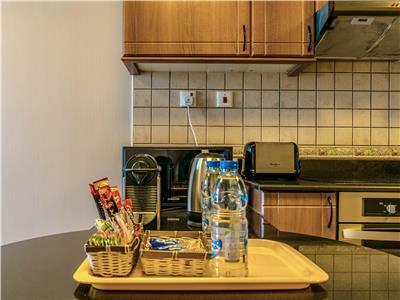 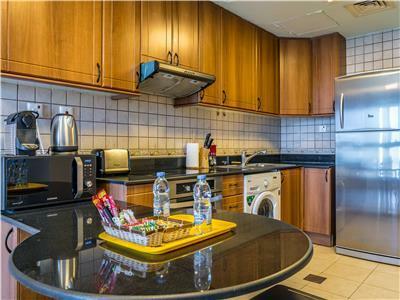 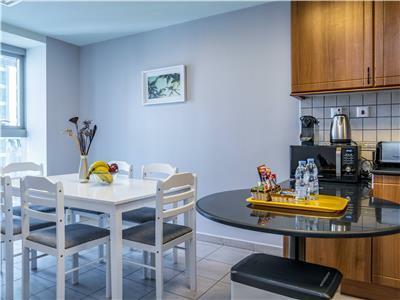 This apartment is managed by Yanjoon Holiday Homes, a DTCM registered Holiday Home Company specializing in monthly and daily rentals of serviced apartments in Dubai. 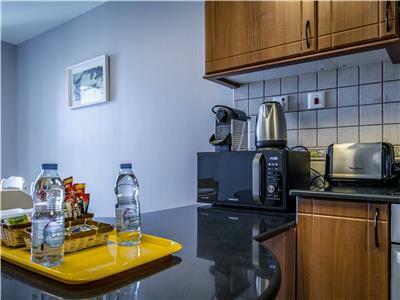 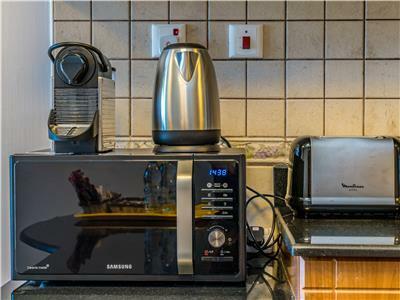 Tenants can be assured full security and a high quality of service during their stay at this property. 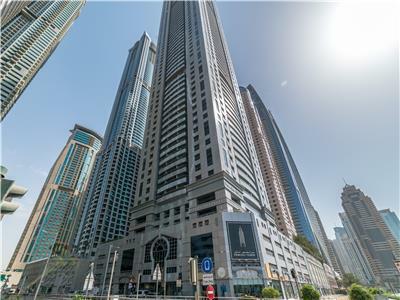 The Guinness World Records (May 2012) has officially recognized TAMEER’s Princess Tower in the Dubai Marina as the world’s tallest residential building, towering over Dubai's skyline at 414m, 100 floors above ground! 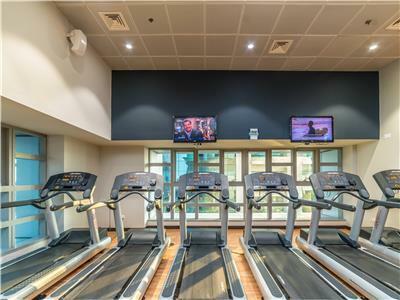 Rising proud among the many Dubai wonders like Burj Al Arab, Madinat Jumeirah and the Palm Jumeirah, Princess Tower occupies a land area of 37,410 square feet, with over 700 luxury apartments. 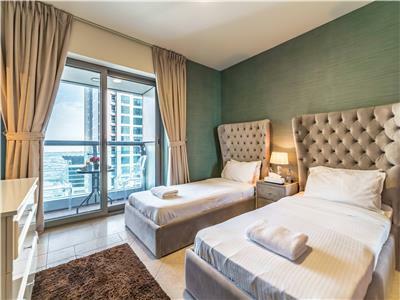 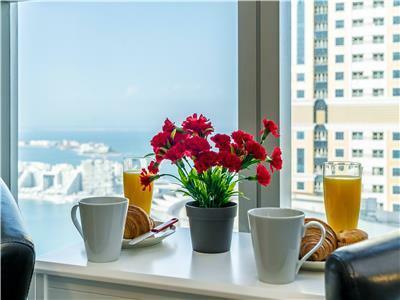 Residents have a choice of one, two, three and four bedroom executive apartments as well as high end penthouse apartments overlooking Dubai Marina and the Palm Jumeirah. 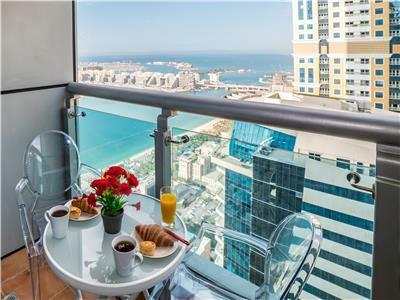 Surrounded by world renowned 5-star hotels, shopping malls such as Mall of the Emirates, Marina Mall, and Ibn Battuta Mall, cosmopolitan restaurants, stylish bars and night clubs, and multi-cultural schools and reputed universities based in Knowledge Village, Princess Tower offers residents the combination of a dynamic and exciting lifestyle with the calm and serenity of living so close to the sea. 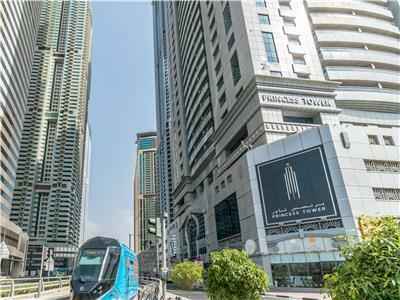 For business needs, Dubai Media City and Dubai Internet City provides free zone trade and commerce haven. 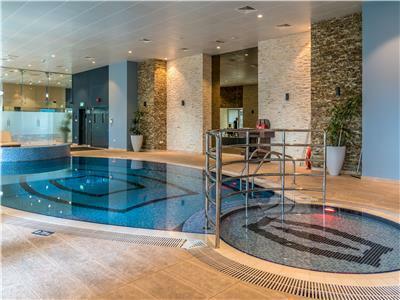 Some of the many amenities the residents of Princess Tower will enjoy are indoor and outdoor swimming pools, a gymnasium, a children 's play area, sauna rooms, private car park, a luxurious reception area. 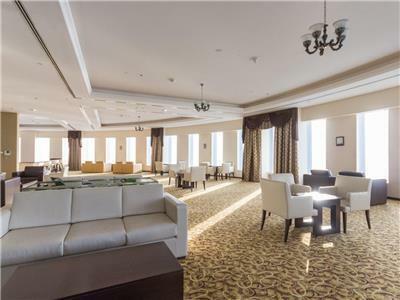 The top floor will provide gathering and recreational facilities to the residents.